We are the Delta Squares! 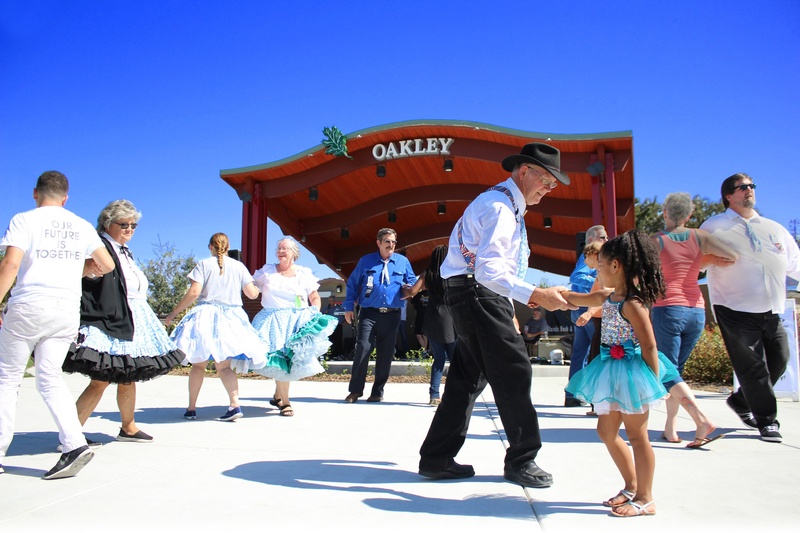 Square dancing is the state dance of California and 23 other states. Delta Squares is a modern square dancing club which was established in 1993. We welcome anyone who wishes to square dance. No special clothing is needed (dress comfortable casual), no partner is required, and we dance to a variety of music. We are all about fun, fitness and friendship set to music. We meet Wednesday evenings from 7:00 pm to 9:30 pm with a club party night on the last Wednesday of each month. Our club dances mainstream and plus levels. Visitors are always welcome to stop by any Wednesday evening and experience the fun and excitement of our group. If you like what you see, join us when our club schedules a beginner's class. Many of our club members participate in RVing and camping, traveling to hoedowns and campouts with other clubs around Northern California. We meet weekly in the multi-purpose room of Laurel Elementary School, 1141 Laurel Road, Oakley, on the corner of Laurel Road and Mercedes Lane. Content copyright Delta Squares. All rights reserved.